GDP Solar is part of GDP Energy Limited. As an independent company we carry a wide range of leading brands providing customers with the widest choice of domestic solar PV systems, which means whatever you need we can design and install the optimum solution to your needs. 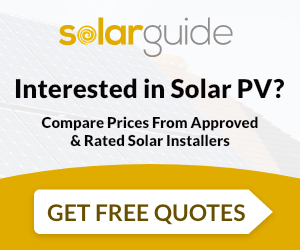 GDP Solar has a reputation in providing excellent customer service from start to finish. GDP Energy Limited supply and install Solar PV. For similar installers in this area please visit the Deeside solar page.